Now that signed-in users are allowed to cross-device retargeting, new changes are still on the way. In a short while, advertisers will be allowed to reach the audience across different devices with Google Retargeting Campaigns. Cross-device retargeting is an important development in the advertising world. 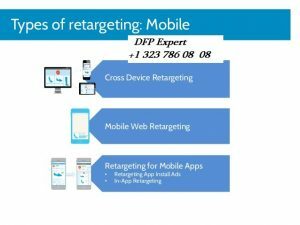 What is Cross-Device Retargeting and How does it Work? Let’s now try to describe all the process of Cross-Device Retargeting in a simpler way focusing our explanation on examples. For example, if you visit an advertiser’s website on a mobile, the advertiser will not be able to retarget you as a user later on a desktop, unless you come to that website on a desktop. In such cases, you as a user get listed twice which increases the probability and frequency capping and negative list exclusion is set at the browser or mobile ID level on each device. You set a small piece of code on your website that is not noticeable to your website users and/or visitors so that it does not ruin your website design or performance. Each time a brand new visitors come to your site the code drops a cookie; an anonymous browser cookie. Then, when those visitors of yours already fallen into the cookie trap browse the web, that cookie will allow retargeting provider to know exactly when to show ads, again, making sure that ads are presented only to the visitors who previously were there on your site. This is very effective and efficient since it focuses your ads on people who have already checked out your brand and have shown interest. Even though retargeting can help you increase conversion, it cannot necessarily lead people to your site. Your key to success is using one or more tools to gain traffic and cross-device retargeting to make the best out of that traffic. DFP Training – 19 Reasons to Get Registered Now! Header Bidding Wrapper – What’s the Fuss All about? What is Viewable CPM Bidding? What Is CPA and How Can Advertisers Benefit? How Google Created DoubleClick in March 2008?